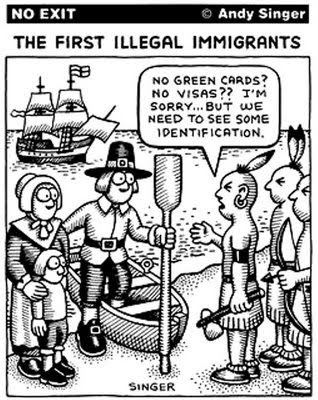 America has always been a land of immigrants -- even the ancestors of the guys on the right probably came across the land bridge from Asia. And this country, which is celebrating its 235th birthday on Monday, continues to be enriched by the talents and efforts of people from around the world who take the enormous chance of starting new lives in a strange place, just as my grandfathers did nearly 100 years ago. This week on Global A Go-Go, we'll celebrate the Fourth of July with music by immigrants. Each of the artists you'll hear on the program was born somewhere else and chose to live in the USA. The music of each of these folks makes our culture a little bit broader, a little bit richer, a little bit more American. REVIEW: For a few years in the late 1960s, boogaloo was a Latin music craze that crossed over to the Anglo world in a big way. It’s a fusion of the popular Cuban rhythms of the day (mambo, guajira and others) with the African-American styles that Hispanics were hearing in Spanish Harlem: soul, R&B and doo-wop. It’s been called “the first Nuyorican music,” it produced the first million-selling Latin record in the USA (Joe Cuba’s “Bang Bang”), sophisticated players and listeners derided it as kids’ music and a crossover sellout. In a way, it was the reggaeton of its day. Ray Lugo, who also leads the Afrobeat band Kokolo (and was at one time a roadie for the Beastie Boys), has put together a combo to play this music of his parents’ generation. Most of the tracks are covers (some are deep cuts even if you’re into the genre) and the band plays in very much an original boogaloo style, with just a touch of modern updating. 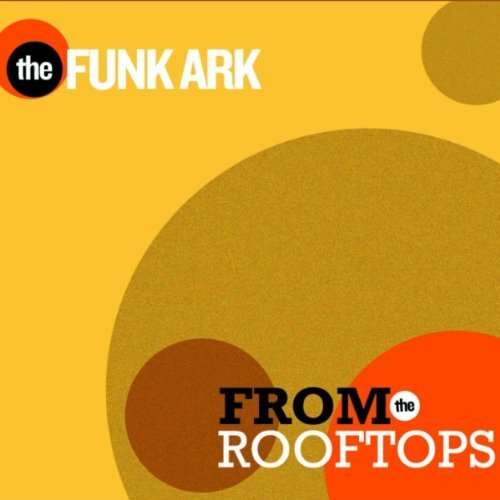 This is a great party disc -- ten short and sweet tracks, each one gets right to the heart of the matter, each one will have you up and doing the shing-a-ling in no time. Nicely done. REVIEW: Maryland-based Samba Mapangala is held in the highest regard by fans and musicians as one of the classic singers of soukous, the guitar-driven dance music that swept from the Congo to East Africa in the 70s and across the world in the 80s. Mapangala has been keeping the flame burning with frequent international tours (he played at the Richmond Folk Festival in 2009) and a series of independently-released recordings. He attracts some of the top players in the business -- guitarists Beniko Popolipo (Zaiko Langa Langa), Huit Kilos (Afrisa International) and Syran Mbenza (Quatre Etoiles) contribute solos and mi-solos; singers Wuta Mayi (Kekele), Ballou Canta (Soukous Stars) and Suzanna Owiyo (a major Kenyan star) add vocals. This is an excellent addition to the catalog of a man whose recorded output is consistently strong. The high-energy numbers here are 1 and 4, 2 and 5 are mid-tempo rumba congolaise, 6 is acoustic and 3 is reggae-influenced. Soukous certainly isn’t the flavor of the week in African music, but for the literally millions of worldwide fans of this music, Samba Mapangala delivers the goods as always. I play music from all over the world on Global A Go-Go, but if you forced me to concentrate on only one region, I think it would have to be West Africa -- over the last 50 years straight through until today, there have been just so many great recordings from that part of the world. We've received several excellent new West African reissues recently; they'll form the core of an all-West African program this week. There'll be plenty of variety in the mix: Cuban influences, sounds of the Malian Empire, voodoo rhythms, highlife, makossa and more. And we'll end with a set of African disco, which I think you're going to like if you just give it a chance. REVIEW: Alhaji K. Frimpong was a Ghanaian singer and bandleader who released six or so albums in the 1970s and 80s. His career bridged the time from when highlife was the dominant musical style in West Africa to when it was supplanted by afrobeat. Frimpong’s sound is roughly a halfway point between the two, a mixture of languid melodies and urgent rhythmic drive. He’s shown up on many of the most important West African compilations, and his original vinyl sells for premium prices. Now the folks at Continental and Secret Stash have reissued his self-titled 1976 album, one of the most awesome tapes ever featured on the “Awesome Tapes From Africa” blog and pretty difficult to find otherwise. Frimpong wasn’t the most popular artist in his own day, but his prominence has grown through time -- it’s safe to say that this is some of the best music of an era full of great recordings. The band here (also known as Vis A Vis on their own sessions) is just superb; drummer Kung-Fu Kwaku is right up there with Tony Allen as a master of polyrhythms. Don’t miss this one. Seun Kuti (pictured above) has a new record out, fronting his father's old Egypt 80 band, and it's as hot as the first week of June in Richmond. Hotter than his brother Femi's recent release, or than Fela's classics? You be the judge -- I'll play each of them this week. You'll also hear Dzian!, a fun post-modern Asian pop band from Charlottesville who are playing here this weekend; Guadeloupean cadence and Colombian porro; the latest single from the kings of coupe decale, Magic System; and some amazing electronic dance gospel music (I kid you not) from South Africa. Where else but Global A Go-Go? REVIEW: Here’s a fun project from an unlikely source -- University of Virginia’s graduate school of music. Dzian! describe themselves as a “post-fieldwork, post-academic project of public scholarship” and as “functional music.” But don’t be put off by the jargon of academe -- it doesn’t interfere with the downright joyousness of the music here. They’re working with vintage Asian pop source material here -- tracks 2 and 4 are Taiwanese, track 1 is Japanese (3 is an original), and they also incorporate pop music of Indonesia, Malaysia, Thailand and Cambodia in their live sets. The guitars are kind of surfy, and violinist Rachel Thompson adds a Balkan/bellydance flavor to the sound, pushing Dzian! into the entirely unclassifiable category. Sounds like several members of the band are moving to California soon -- that will be Virginia’s loss but the concept will probably get a lot more traction there than here, so hopefully there’s more Dzian! to look forward to in the future. In the meantime, if you’re at all interested in Asian pop or the garage-psych era this is well worth your attention. REVIEW: Here in the USA, acoustic music and singer-songwriters are all the rage in the world of independent rock. A similar phenomenon is going on in England. Even more exciting is that there’s a serious, major revival in the world of English folk music, and it’s being led by young musicians. The London-published magazine fRoots has championed this renaissance; its editor Ian Anderson (no, not the Jethro Tull guy) curated this overview. He does slip in a handful of older recordings, but the key tracks here are from some of the best of the young folkies -- Bellowhead (track 1), Emily Portman (2), Ian King (3), Marry Waterson & Oliver Knight (12) and Bella Hardy (15). And there’s a brilliant re-envisioning of “My Son John” (6) by the multicultural project The Imagined Village, which features Martin Carthy (one of the key players in the 1960s folk revival) and his daughter Eliza. If you’re a fan of the new generation of American acoustic artists, give a listen to what’s happening on the other side of the pond. REVIEW: 29-year-old Seun Kuti is the youngest son of Afrobeat founder Fela Kuti; Seun has been singing with Fela’s Egypt 80 ensemble since his father’s death in 1997; this is the second CD documenting a new era in the history of one of the world’s most illustrious bands. There are now thousands of groups playing Afrobeat, but none of them sounds quite like Egypt 80 -- for power, drama, great horn arrangements (the background singers are used like an additional horn section) and total dedication to polyrhythmic groove, Egypt 80 under the musical direction of 75-year-old baritone sax player Lekan Animashaun really can’t be beat. They’ve modernized their sound somewhat (the new material is played up to 50% faster than the 1970’s classics), but this is not Afrobeat-hyphen anything -- it’s the straight stuff. Seun does a fine job on the songwriting and singing, and he’s a better saxophonist than his father ever was. But make no mistake, the band is the star here. An indispensible record, certainly one of the best of the year. The only thing more unruly than a Balkan brass band is (wait for it) two Balkan brass bands. On the new CD Balkan Brass Battle and on their current tour (no, it's not coming to the USA) Serbia's Boban and Marko Markovic Orkestar (left in photo) face off with Romania's Fanfare Ciocarlia (right). Better yet, they team up on several tracks and you'll hear one of them this week on Global A Go-Go as part of a set of Balkan brass insanity. REVIEW: Long before afrobeat, juju, fuji or hiplife, highlife music ruled in Anglophone West Africa. The roots of this style go back to the 19th century, some of the earliest commercial recordings in Africa are highlife sessions, and most of Nigeria and Ghana’s most famous musicians got their starts in highlife bands. This well-curated two-disc set (credit to Londoners Rita Ray and Max Reinhardt, aka Shrine Synchro System, for the selections and the excellent notes) is an excellent overview of this diverse and long-lived genre. Highlife thrives on its ability to incorporate a wide variety of influences, and this set really highlights that diversity -- you’ll hear elements of bebop (disc 1-track 1), calypso (1-2), Central African guitars (1-6, possibly the most popular African recording of all time), palm-wine guitar (1-9), even modern jazz (2-2) and marching bands (2-9) on this set. If you’re at all interested in the roots of modern West African music, this set is worth your attention, and you’ll almost certainly fall in love with at least a few of these tracks.